I was a little hesitant to try using an epilator ever again after a painful, disappointing experience in my earlier years where the other brand product didn’t remove the hair and left my skin irritated. I live in Florida and having to shave with a razor once a day in order to keep smooth can be time consuming to I was very interested in trying one of the newest epilators again to see if there has been any improvement. The good news is that epilators have come a very long way since then especially with the release of the Emjoi eRase E60 Epilator (SRP $79.95). What makes this product so different from the other products on the market is that it uses tweezers which remove hair from the root. These 60 mini-tweezers work together on dual heads to make the process quicker and more efficient as hair is removed fast. That means that it will require less passes with the epilator in order to remove the hair from the desired area. It is versatile as it can be used on the upper lip, chin, under the arms, legs and bikini line. I decided to test this out on my legs and followed the instructions included which were very helpful. I could choose between two speeds i.e. one for fine hair and one for coarse hair. I decided to start with the speed for fine hair and I pulled the skin taut in order to stretch it out and make it less painful during the hair removal process. I used sweeping motions as I passed the device up and down and consciously reminded myself to not press down hard but use gentle movements. Did it hurt? Initially, I found it to be painful similar to tweezing out a bunch of hairs at one time but I want to clearly state that after the first few passes, I actually didn’t find the sensation painful per se but mildly uncomfortable and then after I adapted to it then it didn’t bother me at all anymore. In fact, I was able to completely remove the hair from both legs in one session. My legs were very soft and smooth except for a couple of areas where the hair had not grown in enough from my last shave so I simply went over the parts again the next day. What I love most about the performance of this product is that I don’t have to let the hair grow out to uncomfortably long lengths before using since the tweezer-like action gets even very short hairs precisely. I have skin that tends to be sensitive so I was pleasantly surprised that while I did have some initial mild redness, it was not painful or irritated at all. Best of all……..my legs are still absolutely hair-free three weeks after using it and I didn’t even need to bring a razor with me on vacation when being smooth was a necessity. 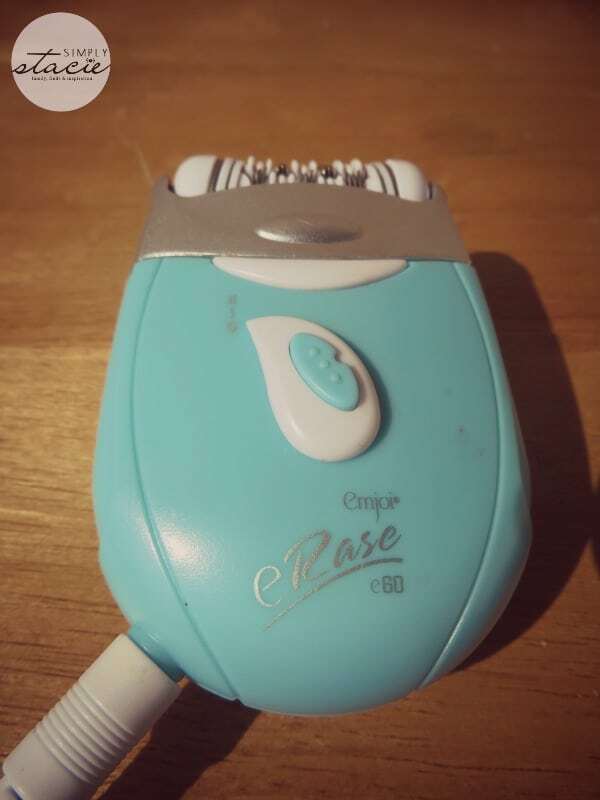 I plan to ditch my razor completely and use the Emjoi eRase E60 Epilator as my primary resource for keeping my legs smooth and free of unwanted hair. I am glad that I was willing to take another chance and give this product a chance because it performed way beyond my original expectations and it is affordably priced. You are invited to visit Emjoi to learn more about all of their epilators to find the one that is right for you. Connect with Emjoi on Facebook. I have been debating whether or not to buy this the past 2 weeks…..I think I need to just do it. I hate shaving, and leaving in the south it’s a daily requirement. Glad to see you liked it, that helps me get closer to the decision of buying. I need to try this! I need an inexpensive product that will work. This sounds like it will do the trick! Thanks! I am going to get Emjoi soon, need it, thanks for this review! I was a huge fan of my epilator until it broke and the one I bought wasn’t as up to par. maybe I will try this one out though. 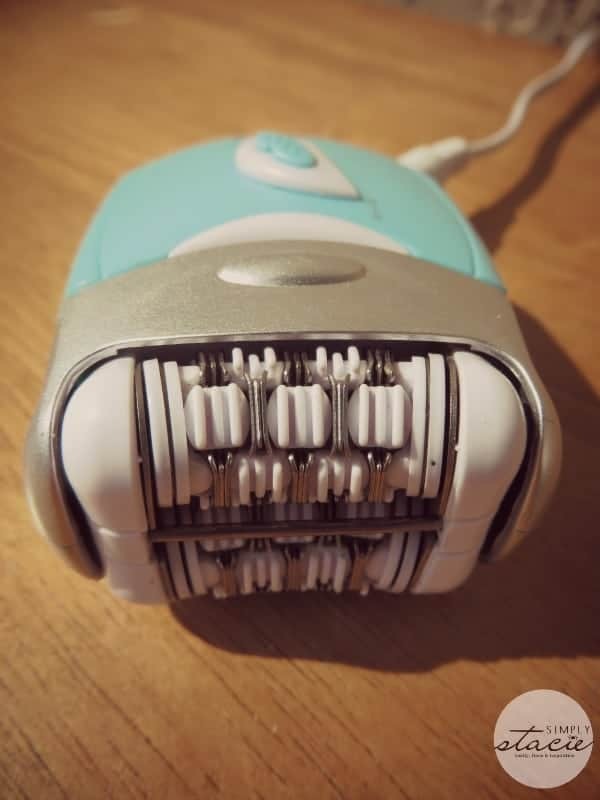 I tried an epilator years ago and hated it, maybe it is time to give one a try again. Thanks for the review. are they available in stores at all?